Senator Patrick Leahy (D-VT) plans law to allow retired Justices to return to Supreme Court on temporary basis. According to the Legal Time’s blog, Senator Patrick Leahy (D-VT) is planning to introduce legislation to allow retired Justices to return to the court to sit in for any Justice who has recused himself from a case. This plan may pass constitutional muster under Article 1.8.10 and Article 3.2.10, but it does not pass the “common sense” test and is definitely bad policy. In the real world –private sector, for example– when someone retires from a job, they are no longer employed in that position. If they wish to return to their old job, either temporarily or permanently, they have to be rehired. Logically the same requirement would apply to Supreme Court Justices. They would have to be re-nominated by the President and confirmed by the Senate before they could sit on the Court. Evidently, President Obama has recused himself (voted present) from responsibility for the Gulf oil spill. Would any Democrat like to persuade Senator Leahy to allow a recall of prior Presidents to the White House– George W. comes to mind– to oversee fixing the leak and cleaning up the aftermath? Probably not. Any legislative attempt to change the Court in order to institute Leahy’s policy would also require a new law changing the number of Justices on the Court. There are currently nine. A Justice who recuses himself or herself from a case would still be a member of the Court and the retired Justice replacing him would bring the number to ten. If the current Court is increased to ten in order to accommodate the additional temporary Justice you would have an even number, possibly allowing for a split decision, which is the problem the plan is supposed to fix. With the upcoming retirement of Justice Stevens, there will be three Justices in retirement available for temporary recall under the Leahy bill. They are Stevens, O’Connor and Souter. My guess is that should one of the sitting Justices recuse themselves –Roberts, for example– either Stevens or Souter would be asked to fill in for him. Should Leahy be successful in getting his law passed, we can only imagine the political intrigue that would ensue. Every time a case, important to the welfare of the nation, was scheduled to come before the Court. Progressive Democrats and the mainstream media would be working for months in an attempt to find some excuse to demand one of the constitutionally conservative Justices recuse themselves. The Court would be in a constant state of turmoil. When and if Leahy’s bill ever sees the light of day, Republicans must see to it that it is killed, buried and forgotten. The first thing one has to face if they are to understand the agenda of President Obama is that he does not love America; at least, not as it has existed for the past two centuries. That does not mean he does not love his country. I am sure he does, but he does not love its history; its culture; its constitution; its economic system; its political system; its military; its love of liberty; or any of the institutions that has defined America since its founding. These are the things Obama has dedicated his life to changing. It’s just that Obama’s mental picture of America is not the same as the one that existed in the minds of the Founding Fathers or in the minds of most Americans today. His is the one formed under the tutelage of his childhood mentors reinforced by his chosen associates as an adult. Obama’s picture of America is the one painted by twenty years of indoctrination in the church of Jeremiah Wright. His vision for its future is one he adopted from his icons, William Ayers, Frank Davis, and other like-minded figures that have affected his life, especially Saul Alinsky. From these and other left wing thinkers Obama has formed a mental image of what an ideal America would be like. 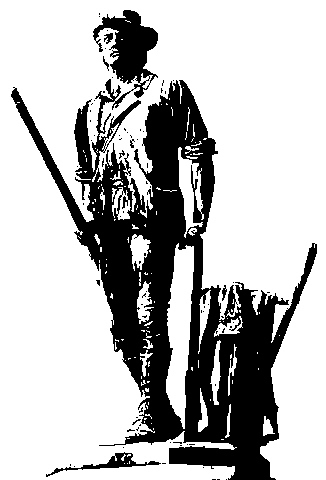 He has dedicated his adult life to bringing into existence this idealized image, which is in almost every instance the polar opposite of the America established by the Founding Fathers. He believes the Founders established a deeply flawed system of government that has led to all sorts of social and economic evils over the past two-hundred plus years. The ideal form of government for Obama is one ruled by an elite political class directed by a benevolent, but all-powerful leader of exceptional wisdom and compassion. In Obama’s mind, the “state” is the ultimate objective of all society. 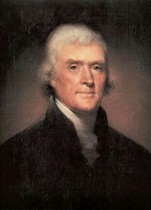 The Founders believed that the legitimacy of government comes from the will of the people. Obama believes that the interests of the people are served only by the properly directed power of government. The Founders believed government should be the servant of the people. Obama believes the people should be the willing servants of the state. The Founders believed that rights are endowed by God, equally to all humans. Obama believes rights can only be granted by the state. The Founders believed that everyone should be free to pursue their own economic best interest. Obama believes that government should plan and direct all significant economic activity to insure an even distribution of wealth. The Founders believed liberty to be the highest of man’s aspirations. Obama believes community to be the highest of aspirations. The Founders believed the Constitution should be the “supreme law of land” and all judges should be bound by its precepts. Obama believes judicial opinions based on subjective values of fairness and justice should be the supreme law of the land. 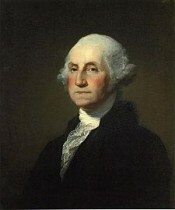 He believes the Constitution to be an antiquated document whose meaning changes with each passing generation. It does not need to be amended; its meaning can be adjudicated. Obama’s image of himself as that wise and compassionate leader destined to bring about the utopian America he envisions, motivates his every action as President. As borderline psychotic as this may sound, his words and actions over the past four months will allow for no other conclusion. The facts will only permit two interpretations of the Obama Presidency. Either he is a bumbling incompetent who “smooth-talked” his way into the White House, or he is a dedicated ideologue determined to tear down all the historical institutions of government in order to rebuild and reshape them to reflect his worldview. Those who hope that with experience he will moderate his views are hoping in vain. He has an absolute, fanatical faith in the righteousness of his cause, and will not be swayed by public opinion or political pressure. Adhering to the Alinsky principle that any means are acceptable that furthers the cause, he is willing to visit any misfortune on the American people in order to accumulate more power for himself as the head of state. The survival of America as we know it will depend on the extent of his cult following and the influence of the coalition of Democrats, socialists, environmentalists, Marxists, fascists, the state media, and other groups that share his statist goals in the next two or three election cycles. The Court of Appeals for the Federal Circuit in D.C. took another step Tuesday to immunize federal employees from lawsuits by citizens and exempt them from the basic American republican (small “r”) principle that no one is above the law. The ruling also leaves citizens without the equal protections provided by the Fourteenth Amendment. In addition, it reinforces the Orwellian concept that “all pigs are equal; some pigs are more equal than others” i.e., government officials. The court’s decision involved a lawsuit brought by Staff Sergeant Frank Wuterich against Democratic Congressman John Murtha. The suit was filed in response to a remark made by Murtha at a press conference in May 2006 accusing Wuterich and his men of killing Iraqi civilians, including women and children, “in cold blood.” A Marine Corp inquiry later found Wuterich and his men had acted properly during a firefight on Nov. 19, 2005 in Haditha, Iraq in which two Marines were killed. Also, under the Westfall Act, the plaintiff has the right to appeal the Attorney General’s scope certification. Furthermore, the Act does not grant immunity to the defendant, it transfers liability from the defendant to the government which still allows the plaintiff to get satisfaction in court for the injury incurred. In this case, it would appear that the fact that Murtha was a member of Congress was not incidental to the case. There is no job requirement that elected officials call press conferences to give their personal opinions on current events. That is purely a personal or political decision on the part of the individual involved. The Constitution in Article One, Section Six provides limited immunity for Senators and Congressmen under very narrow circumstances. Just as Section 8 of Article I, limits the power of Congress by its specificity, Section 6 limits the legal immunity afforded members of Congress for the same reason. Under this Section, Legislators are immune from arrest only while in “attendance”. In other words, only while the Congress is in session and they would normally be in attendance. They are also immune from arrest while traveling to or from a session of Congress. Section Six also provides that a member of Congress cannot be called to account regarding any speech or debate in either house. It is obvious that the reference here is to remarks made in the respective chambers, not in a TV studio or before a microphone at an outside press conference. Aside from the violation of the “free republic” principle that all men are equally subject to the rule of law and equally entitled to its protections, this interpretation of the law has the potential of incrementally denying citizens any legal redress for actions committed by federal officials between election cycles, no matter how egregious. Under the present circumstances of one party rule and the obvious intent of the current administration to infringe on the liberties of citizens, this is a dangerous precedent.